How do you make sure that you are breathing only fresh, clean air in your own home? Many homeowners tend to underestimate the need for having healthy indoor air quality in their homes. You vacuum, clean and scrub your home until it’s squeaky-clean. But the bad news is that there are invisible pollutants that are present in the air such as: mildew, dust mites, mold, bacteria, viruses, skin flakes, pet dander, pollen, chemical fumes and more. To make sure that you have excellent air quality at home, talk with the trustworthy and professional HVAC systems providers at Buck’s Heating and Air. Our goal is to make sure that your home is the safest and most comfortable place for you and your entire family. We provide you with superior HVAC systems services to ensure that your systems are functioning at their optimum level at all times. Buck’s Heating and Air will also work with you to make sure that you are breathing in excellent air quality in your home. We are proud to be an authorized Honeywell dealer. Conserving energy is a Honeywell trademark. Honeywell invented the programmable thermostat more than a century ago, and all Honeywell products are engineered to operate efficiently and effectively. Today’s tightly built homes are great for insulation purposes, but they also trap in particles that contaminate the air. In fact, according to the Environmental Protection Agency, indoor air can be two to five times more polluted than outdoor air. For decades, Honeywell has produced energy-efficient whole-house air cleaners, humidifiers, ventilation systems and more to help improve comfort and the quality of air in the home. Best of all, because Honeywell builds energy efficiency into every product, you’ll be reducing your energy costs while enjoying a more comfortable home. Our team is ready to help you determine which of these products are right for your home and lifestyle. Capture up to 99 percent of airborne dust, pollen, smoke, pet dander, mold spores and certain bacteria that pass through the system. 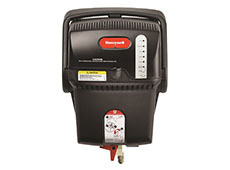 Extremely effective at cleaning the air throughout the home, Honeywell EACs also maintain airflow and help keep air conditioning coils clean to maximize the efficiency of heating and cooling equipment. 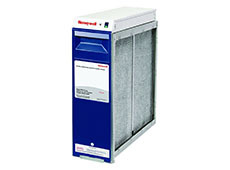 Capture airborne particles up to 40 times more effectively than standard 1" furnace filters. Highly efficient filters last up to one year, far longer than typical 1" filters, while helping to maintain the efficiency of heating and cooling equipment. Automatically maintain the proper levels of humidity in your home for increased comfort and energy savings. Reduces winter energy bills, because you can turn down the thermostat and still feel comfortable. Eliminate excess moisture in all rooms throughout your home. TrueDRYTM dehumidifiers improve comfort while saving energy by reducing the load on the air conditioner. Built-in ventilation brings fresh, filtered air into the home. Bringing fresh air into the home while removing stale air is a key indoor air quality solution. 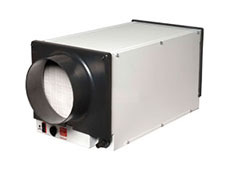 Recover up to 80% of the heating/cooling energy from the air leaving your home. 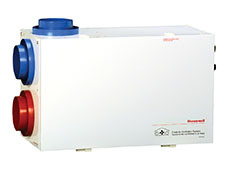 Energy-efficient ERV or HRV models that use less energy than standard ventilation systems. For over 100 years scientists have known of the germ-killing power of UV light. UV light is used in hospitals to disinfect areas that are exposed to hazardous biological materials. Similar technology is used in the food industry and in water purification systems to assure food and water quality. Now that same technology is available to homeowners. 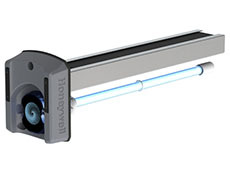 Achieve superior indoor air quality by killing airborne contaminants with advanced UV light, removing germs and odors from the air. This is a proven technology that penetrates the cell walls of microorganisms, breaking the molecular bonds, and eliminating the microorganisms by preventing them from reproducing. 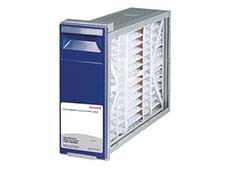 The Honeywell 24V UV Air Purifier system eliminates up to 99% of mold spores on the air conditioning coil, helping to maintain system efficiency and airflow. Call Us Today at 219-406-8758 to schedule your Indoor Air Quality Audit!